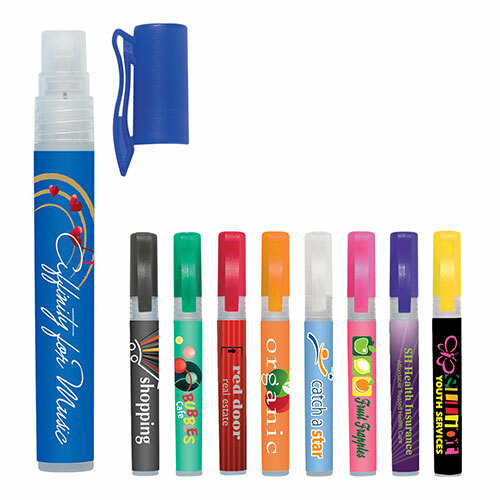 This logo'd Hand Sanitizer Spray Pump will ensure your marketing message spreads far and wide. It comes with a convenient pocket clip and fits in pockets or purses easily. 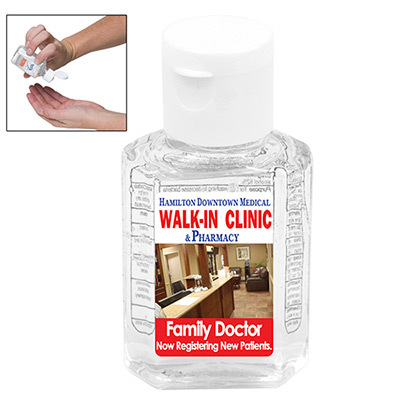 This hand sanitizer is lightly scented and meets FDA requirements. 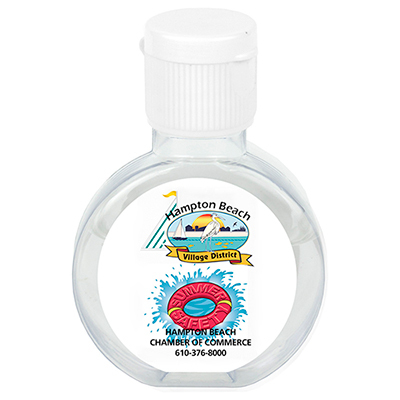 It is effective at warding off germs and can be imprinted with your logo. So order in bulk and expand your brand’s name effectively! Prevents the spread of germs and bacteria!